Get your JENPARH-2013 Admit Card / Hall Ticket. This year JENPARH exam will be held on 9th June, 2013.Admit card will send to candidates by speed post, informing with wxam center, time table. Candidates can collect their JENPARH-2013 admit card from the Board’s office. Know more about JENPARH admit card. Admit cards of JENPARH-2013 exam for eligible candidates will send by speed post, after receiving their Application Form. The exam center name, time table will mention on the Admit Card. The date of JENPARH-2013 exam changed, know the new date; CLICK HERE. 1. Photo-copy of filled application form. 2. Postal (Speed Post) receipt copy for despatched if Application Form. 3. Two colour photographs (as pasted in the Application Form) with attested by Head of the Institute. 4. Original Admit Card of Madhyamik or Higher Secondary (10+2) or equivalent exam. Duplicate Admit Card will be issued from the Board’s office, to the concerned candidates / authorised representative in person from 11:00 a.m. to 04:00 p.m. On and from 29th May to 31st May. WBJEE Board decided to upload JENPARH-2013 Admit cards for those candidates who does not received theory admit card yet. Students can download thermodynamics JENPARH – 2013 Admit Card / Hall Tickets from the official website of WBJEE Board, http://wbjeeb.in . Or they can click the bellow link to download their admit card; Download JENPARH-2013 Admit Card. West Bengal Higher Secondary 2013 result will published on 3rd June,Click Here to know more. Hello Babar, you not received JENPARH-2013 Admit Card yet. I think this is cause of dealy of Speed Post. Please contact your post office for your admit card. If they do not received it, you must contact to WBJEE Board for duplicate admit card. Follow the process for duplicate admit card, as mention on Information Brochure or on this website. 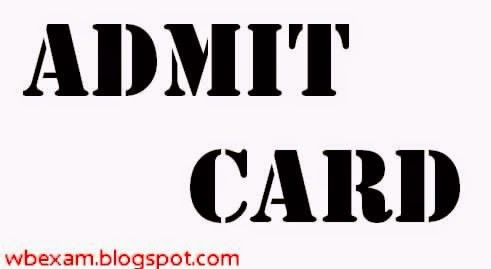 i have not recieved admit card yet in 7th june . what should i do now? Hello Arpita, I want to inform you that, Admit Cards of JENPARH-2013 examination had been despatched by speed post already. Wait some days, you may collect your hall tickets of JENPARH-2013 exam, informing your exam center and roll number. Is the admit card of JENPARH exam's admit card despatched by speed post yet? Hello Aalap, the date of JENPARH-2013 exam has been changed. And the new date is 9th June. So the admit cards are not despatched by speed post yet. And where I know Admit Cards for JENPARH-2013 are not downloadable online. You must select it by speed post or from the Board's office. Will the admit card be available for download online?